We provide free professionally prescribed lifetime teeth whitening gel for all of our patients. A complemtary pprescription strength whitening gel syringe iis provided at every six month prophy appointment for as long as the patient is an active patient of Lakeview Dental. Any necessary dental treatment should be completed before proceeding with whitening to ensure the health and safety of your teeth. Any whitening material available to purchase for home use without seeing a dental professional, which include whitening toothpastes, rinses, gels, and strips. 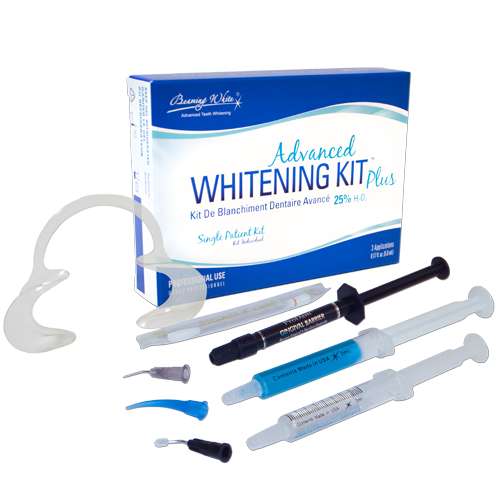 Any whitening material dispensed by a dental professional for a patient to use at home either as their main whitening treatment or for maintenance after an in-office whitening treatment. For patients who desire same-day whitening results, Zoom!™ professionally applied whitening is available. If you are looking for instant results, please call to schedule an appointment today and ask for Zoom! whitening. Althought this service is not complimentary, it is priced resonabley. To find out more about this service, please visit the Philips Zoom™ website. 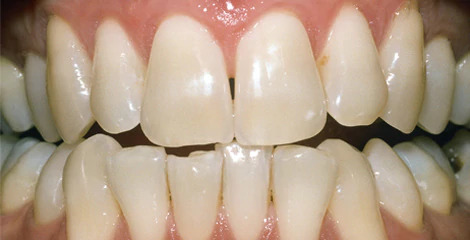 Our dentists can whiten teeth dramatically using various forms of hydrogen peroxide. One form, carbamide peroxide, is most often used in the form of a gel, and placed into a special tray that is custom-fitted to your teeth. 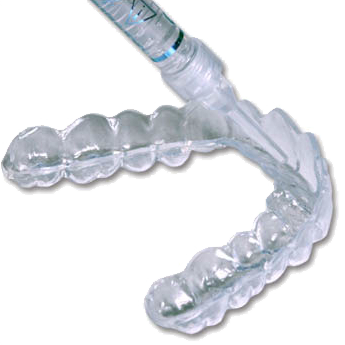 The tray is worn in the mouth for one to four hours per treatment. 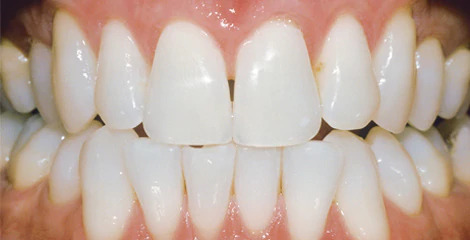 When in contact with the teeth, the carbamide peroxide releases oxygen that releases the stain on your teeth. This process is safe and effective with only a few temporary side effects. This treatment can be applied at home under periodic supervision by your dentist.